​Ele, in case you're wondering, is not my actual name - it's Elinor. Ele is how my older brother and sister spelled it when we were little (and very bad at spelling). You can pronounce it to rhyme with belly or bell, I don't mind at all. 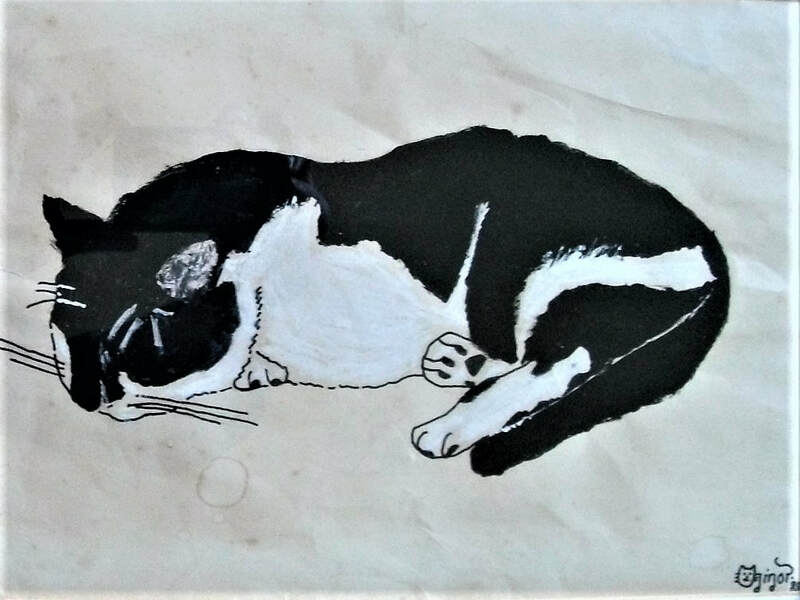 We grew up in the Wiltshire town of Chippenham with our parents and our much loved cat, George - who got me into drawing as he made such perfect poses and liked to lay in them for hours at a time. Following A-Levels in Art and English Literature at Sheldon School (as well as Geography, which I hated) I stayed with an Italian family in Turin, Italy, where I spoke terrible Italian to two very lovely (and excellent English-speaking) boys. When I got back, I took an Art Foundation course at Trowbridge College which taught me to never feel precious about anything creative. I went on to study a degree in Visual Communication, specialising in Graphic Design, at the University of Central England, Birmingham - where I learned how to tell a story in a picture. Because I didn't know quite what to do next, I took a PGCE in Primary Teaching - which confirmed the brilliance of children and how much more interesting they are than adults. After moving south from Sutton Coldfield, I settled in Bath and began exhibiting my mixed media paintings, preferring to use newspapers, zips, buttons, bra-straps - things most sensible people throw away. I also started to write in earnest when I had an idea for a novel. Writing very rapidly became an addiction. I sent the first few chapters to The Golden Egg Academy, where Imogen Cooper, previous head of fiction at Chicken House Publishers, and editor Abi Kohlhoff gave me excellent feedback that really pushed me to write better. From there, one of my stories landed with Kate Shaw at The Viney Shaw Agency and she very kindly now represents my writing. When I'm not wading through collage paper or print outs of stories, I tend to my husband, three beautiful children, four cats (who all like to spend hours posing too) and one creatively chaotic house. The painting I did of my cat, George, when I was twelve.